Jay D Pandya is a Homeopathic physician consulting since 1990. He studied at the A.M. Sheikh Homeopathic College in India for five and a half years inclusive of one year internship in which he acquired full allopathic (western medicine) as well as homeopathic training. In 1990 Dr Pandya attained a Bachelors degree in Homeopathic Medicine and Surgery and began practicing homeopathy during the day while working as a night duty doctor in various hospitals and Intensive Cardiac Care Units (ICCU) in Bombay under reputed senior doctors. 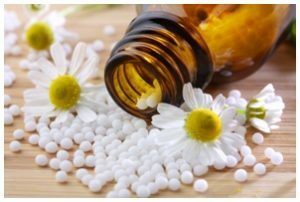 He fully understands the scope of both western medicine and homeopathy, and made a conscious decision to pursue a pure homeopathic practice due to its holistic nature. Dr Pandya is trained to cure disease and chronic pain rather than alleviate symptoms. Also trained in western medicine, he eschews mechanical testing in favour of spending an hour with each patient. It takes this long to properly assess and diagnose conditions that require individual treatment according to the specific needs of the individual, needs that include aspects such as his or her personality, mood and general state of health. Homeopathy can be effective for conditions such as allergies, eczema, chronic pain and depression, is safe in pregnancy and babies. Dr. Samuel Hahnemann (1755-1843), the great German Physician, scholar and chemist in the late 18th and early 19th century, was the founder of homeopathy. By extreme dilution, the medicine’s curative properties are enhanced, and all the poisonous or undesirable side effects are lost. Homeopathic medicines are mostly derived from pant, animal and mineral kingdoms, such as silica (sand), jasmine or salt. After the initial preparation of the raw material by the mortar and pestle, the medicines are processed through serial dilution and succession (vigorous shaking) in a solution of alcohol and water. The diluted medicines are described as being ‘potentised’ in recognition of the dynamic healing power they can stimulate. Usually the dilution is so great that no trace of the original substances remains, and yet they work. It is in the treatment for infants and children that the efficacy and safety of a homeopathic medicine manifests itself most fully. With the correct medicine the response is usually rapid and most effective. There is a mandatory warning on all medicines to keep them out of reach of children, which should always be observed. However, it is reassuring that even if a child is given an incorrect dosage, he or she will experience no harmful effects. Homeopathy works not only on a specific disease, but also on the overall personality of a person. Hence, it treats children who are stubborn, irritable, cross, morose, cranky etc., and it also helps to build their resistance power. 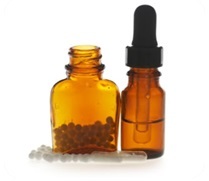 During pregnancy when all other medicines are to be avoided, homeopathic remedies can still be given. It is particularly effective for morning sickness and also aids normal delivery without complications. Menstrual disorders, ovarian tumors, uterine fibroids, cysts and polyps, menopausal syndrome, disease of the breast and lactation, irritability, depression, infertility and other symptoms can all be effectively treated with homeopathy.